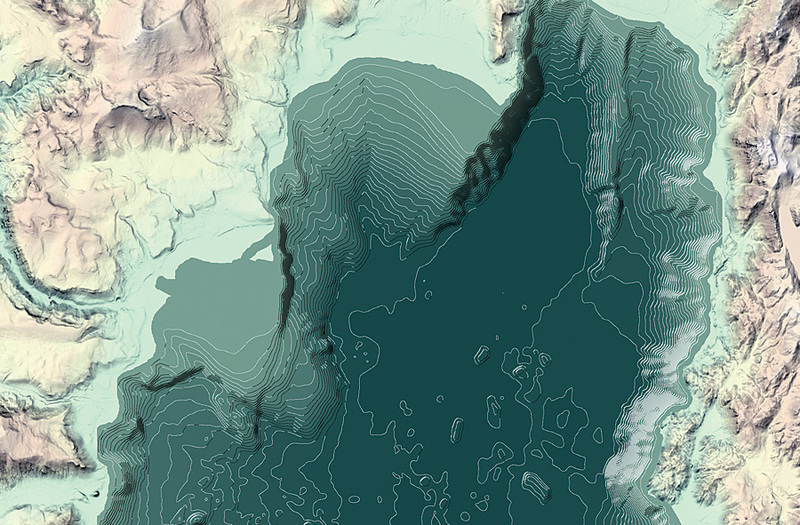 Take Esri’s Newest Massive Open Online Course: Cartography. Participants in Esri’s new Cartography. MOOC will learn cartographic techniques that make them more savvy mapmakers. It used to be that only cartographers made maps. Today, however, anyone can. Still, cartographers can teach people to make better maps, just as professional chefs can show people how to cook better meals. That’s why a team of experienced cartographers, led by Esri’s Ken Field, will teach Cartography., a free, six-week massive open online course (MOOC) that Esri will host beginning April 18. (Registration closes May 2.) With coaching from Field and other Esri cartographers, as well as practical, hands-on exercises using ArcGIS Pro, participants will learn cartographic techniques that make them more savvy mapmakers, ready to go beyond the typical workflows and defaults. Cartography. is Esri’s fifth MOOC. The course coincides with the release of Field’s new book, Cartography., being published by Esri Press. 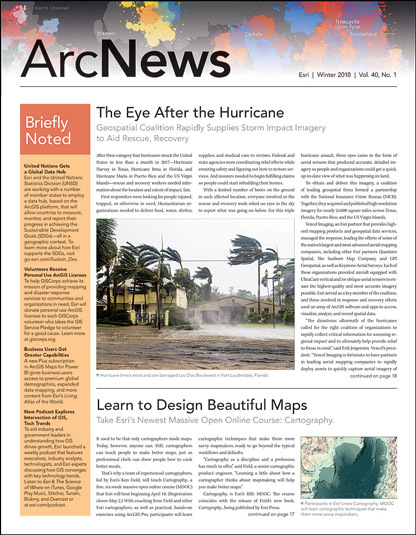 Each lesson focuses on the creation of one map that emphasizes key cartographic ideas. Each weekly lesson in the Cartography. MOOC focuses on the creation of one exemplary map that draws together key cartographic ideas. Lessons consist of about two hours of content, including video discussions, guided and self-guided exercises using ArcGIS Pro and ArcGIS Online, quizzes, interactions between students and instructors, and supplemental resources. Participants who engage with all the course content will receive a certificate of completion and a discount code to purchase Cartography., the book, should they wish to continue their learning. More than 10,000 students worldwide are expected to register for the first offering of the Cartography. MOOC this spring. To sign up, visit the Cartography. page. The Cartography. MOOC joins four other Esri MOOCs: Going Places with Spatial Analysis, The Location Advantage, Do-It-Yourself Geo Apps, and Earth Imagery at Work. Together these MOOCs have attracted more than 105,000 enrollments since 2014. Twenty-five percent of students complete all their course content—a rate that’s much higher than other MOOC providers. And nearly a quarter of the students are new to Esri technology. 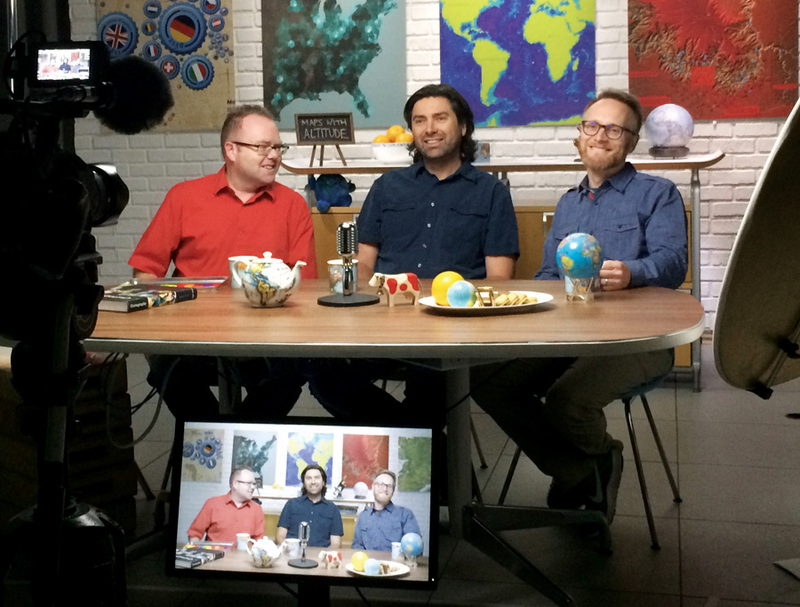 From left to right, Esri's Ken Field, Nathan Shephard, and John Nelson film Cartography., the fifth MOOC that Esri has put together. The MOOC program is just one aspect of Esri’s commitment to education. The company supports thousands of K–12 schools with software, curriculum solutions, teacher professional development, and GeoMentors. 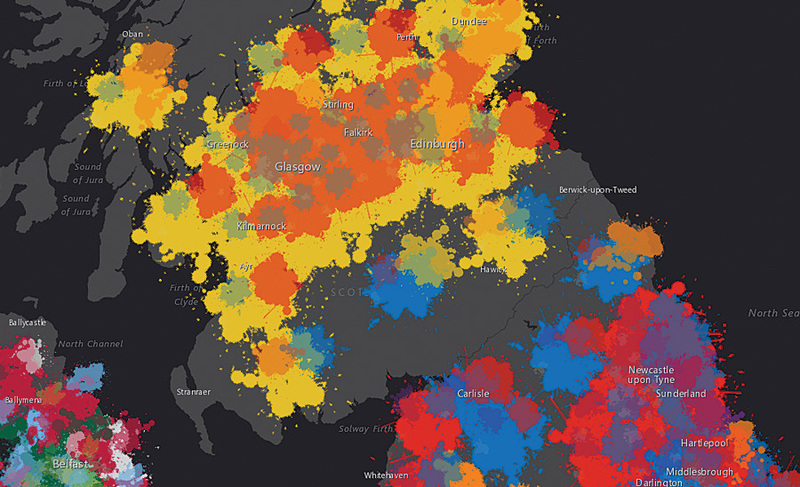 A quarter of a million college and university students use ArcGIS every year. Students and GIS professionals alike benefit from instructor-led and e-Learning courses and seminars offered by Esri Training, self-study exercises available at Learn ArcGIS, and books published by Esri Press. MOOCs offer an easy and fun way to discover the power of modern GIS. Anyone—from cartographers who want to test-drive ArcGIS Pro to those who are new to GIS and want to explore the discipline—can find an Esri MOOC to meet their needs and goals.